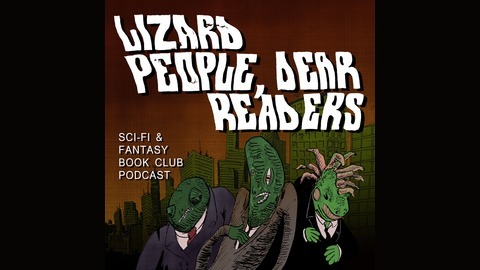 The science fiction and fantasy podcast for lizard people, by lizard people. 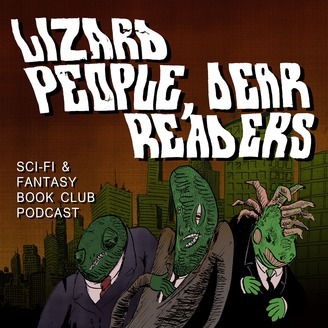 Odd episodes are devoted to non-book-form genre fiction, movies, TV shows, music, and games; even episodes are book club discussions. In this hard-hitting episode, the guys share their thoughts on the summer superhero block-breaker Deadpool. At least until the discussion devolves into a discussion on the topsy-turvy world of modern geekdom. Anyway, George and Peter liked it. Nathan gets into literally photogenic walking simulator Firewatch. George and Nathan share some touching (and confusing) memories of the Prydain Chronicles. George buys a soundtrack, Nathan tells a pun, and Peter's dog votes to make his carpet great again. Then George's computer dies in a fire.